Lets assume you have bought your boat and unpacked the box. Now you want to try it out and of course you need water. But water alone is not enough. You also need a bit of space to move round. 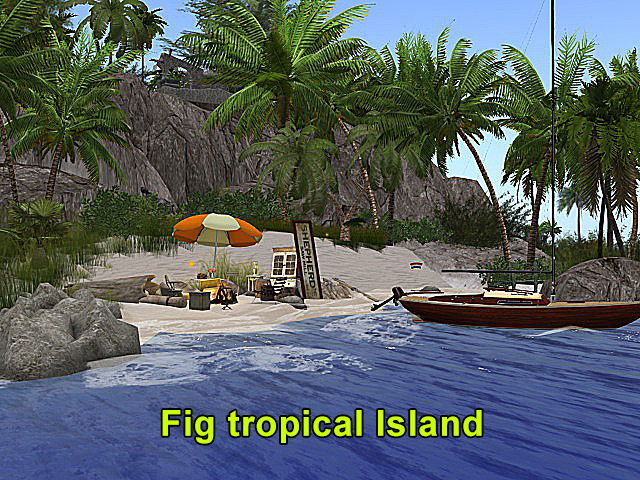 For this problem Linden Lab and a number of private estate holders created back in 2008 the Blake Sea. A large area of connected sims which in part permit you to build, or in this case rezz a boat. A good starting point is the Starboards Yacht Club in Hollywood. 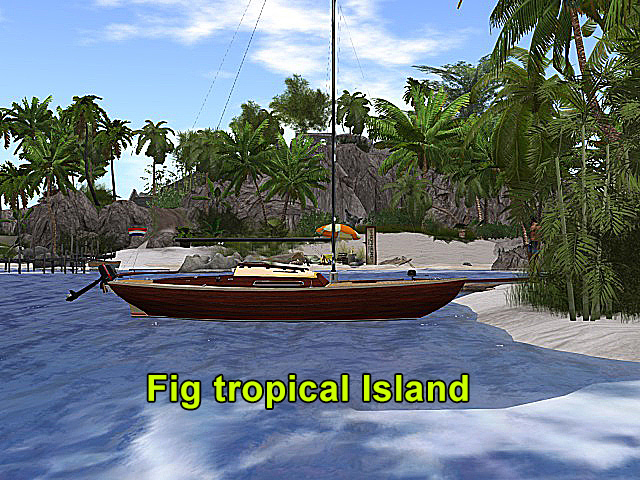 This place is owned by MarkTwain, one of the driving forces behind sailing in SecondLife. This link here will only work if you have already an installed SecondLife viewer. If not you need to make an account at www.secondlife.com. The Club is located right at the edge of the Blake Sea. If you interested to read more on the background and history of the Blake Sea read this blog written by MarkTwain. Of course there are many other clubs and places where you can rezz your boat. 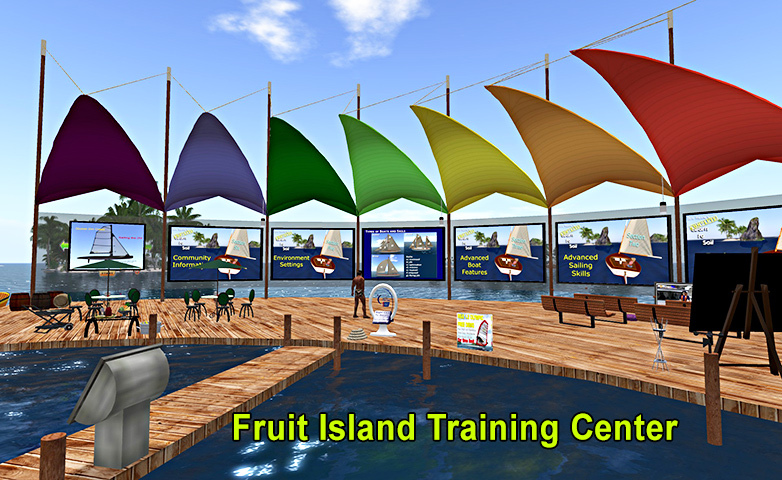 For instance in the Fruit Island Training Center which is part of a large private estate named Eden and Fruit Islands. Over 150 regions all connected and freely accessible. On this region you can also learn more about basic sailing techniques. 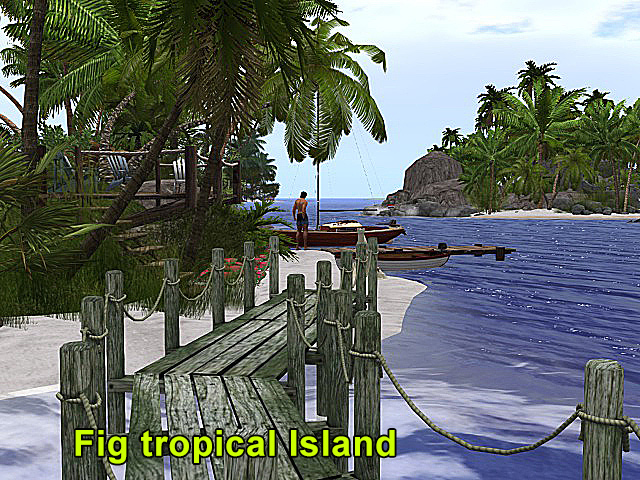 Also you will find many harbours in SecondLife where you can rent a slip to park your boat. Prices depend on the amount of prims you need for your boat. A good example is Mango Club & Marina which is a nice community and professionally managed. We will talk more about places to rent here. Over time you will learn about other places and clubs where you can rezz a boat. Of course joining one of the many groups in SecondLife helps a lot to find your way around. So you rezzed your new boat and now its time to start sailing. But how does this boat start, how do you get it moving. This is covered in another section of these blogs. 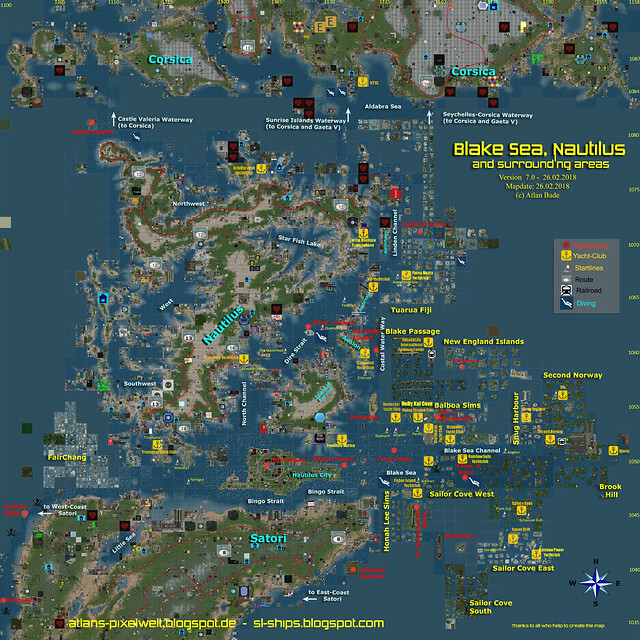 Actually every LL region in Blake Sea has in the North-East corner a parcel of 2300m2 with build rights, meaning you can rezz your boat in any of these parcels. You can easily find them if you look at your mini-map with property lines switched on (RM>Show>Property lines). Simply stand on the sea floor of that parcel and drag your boat out. Most boats will immediately float up to find water surface. If not, just drag it up or sit in it. 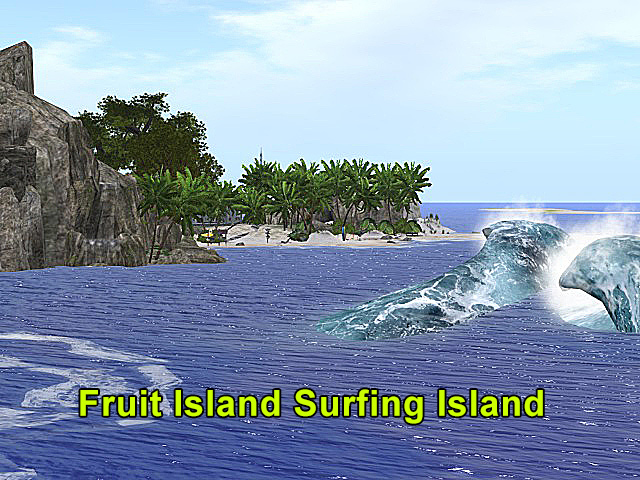 In Fruit Islands you can rezz your boat almost everywhere.